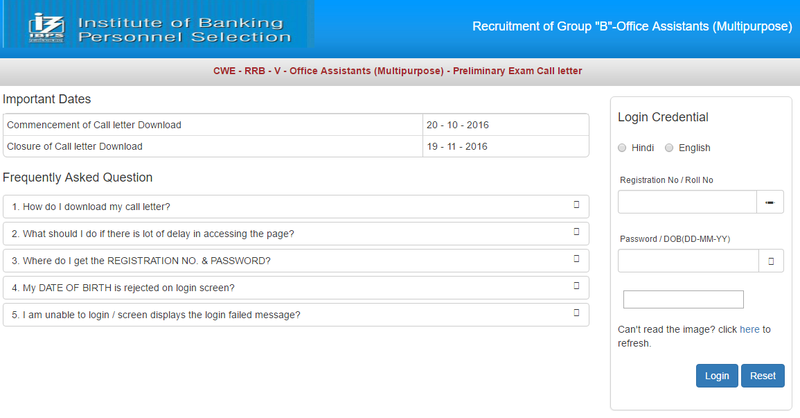 IBPS has activated the link to Download IBPS RRB 5 Prelims Call letter for the post of Office Assistant (Multipurpose). 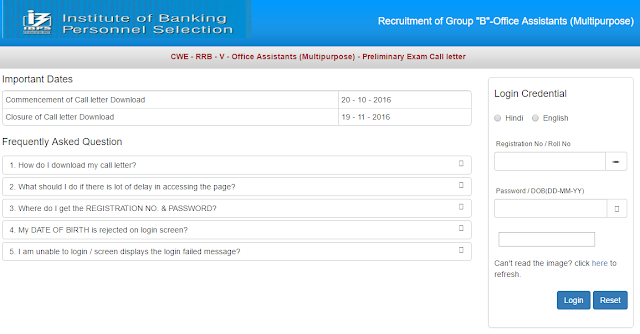 You may download the call letter for IBPS RRB 5 Prelims from the link given below. Open this link on Desktop or Laptop Only.